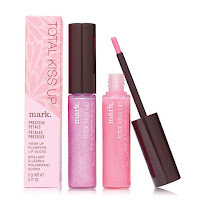 Soft, springy shades have been updated with a subtle metallic sheen for fresh looks with a little edge. Dab All the Time Eye shade Dew Drop across the lids and blend up into the crease and slightly beyond the outer corners of the eyes using a dense shadow brush like the Cream Eyeshadow Brush. 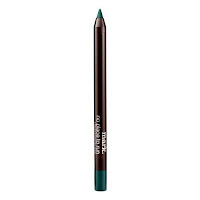 Run an Eyeliner Brush over the wand to pick up pigment and then run the shade along the lower lash lines so it meets the color on the lids at the outer corners of the eyes. Trace No Place to Run shade Jet Set through that line, following but slightly lower than the last line. Brush two coats of Lash Act shade Blackest Black onto lashes. 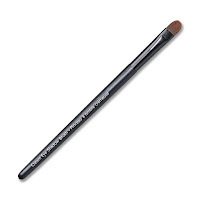 Dab All the Time Eye shade Water Lily across the lids and blend up into the crease using a dense shadow brush like the Cream Eyeshadow Brush. 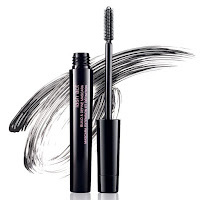 Run No Place to Run shade Jet Set tightly along the top lash lines and blend.